Toni Vilander, long time friend of Kimi’s, met Stefano Domenicali in the Abu Dhabi paddock. 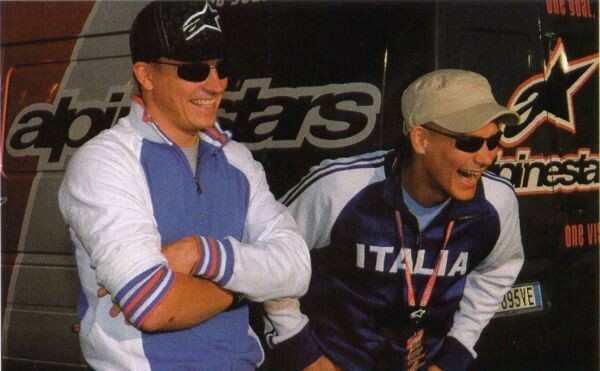 According to Domenicali, he never abandoned the thought of Räikkönen’s return to Ferrari. Do you think that Kimi’s arrival to Ferrari will now be easier than it was the first time, now that you both know how you work? – Absolutely. We know his strength and he knows our team. F1 needs experienced drivers. Kimi’s experience will definitely help us with the challenges that the new rules create. His input is in a very important position, Domenicali said. – My only problem is to provide both drivers a competitive car. If we have a good car then there won’t be any problems. Both Kimi and Fernando Alonso are mature, adult persons and world champions so they know what it means to give their all to the team. You Toni, you know after being a member of our team for many years, that in Ferrari the team always comes first. The will to give all to the team and putting the team’s interests before your own interests is important, Domenicali said.